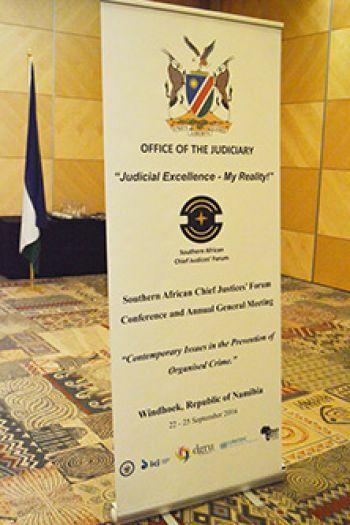 Alexander Mills ran sessions on the proceeds of crime and cybercrime during the Southern African Chief Justices Forum in Windhoek, Namibia, held from September 20th to 22nd 2016. 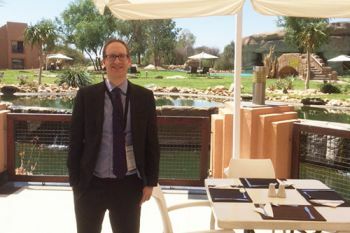 Senior Lecturer in The City Law School, Alexander Mills, ran training sessions for chief justices during the Southern African Chief Justices Forum in Windhoek, Namibia, held from September 20th to 22nd 2016. With the assistance of the United Nations Office on Drugs and Crime (UNODC), The Namibian Financial Investigation Centre and Asset Recovery Inter-Agency Network for Southern Africa (ARINSA), Alexander delivered training sessions for justices from Namibia and Malawi on the proceeds of crime. He also spoke to chief justices from Botswana, Lesotho, Malawi, Mozambique, Seychelles, South Africa, Swaziland, Tanzania, Uganda, Zanzibar, Zambia and Zimbabwe about cybercrime. International asset recovery is any effort by governments to repatriate the proceeds of corruption hidden in foreign jurisdictions. Such assets may include monies in bank accounts, real estate, vehicles, arts and artifacts, and precious metals. As defined under the United Nations Convention against Corruption, asset recovery refers to recovering the proceeds of corruption, rather than broader terms such as asset confiscation or asset forfeiture which refer to recovering the proceeds or instrumentalities of crime in general. Law academic advises Papua New Guinea magistrates on combatting financial crime.